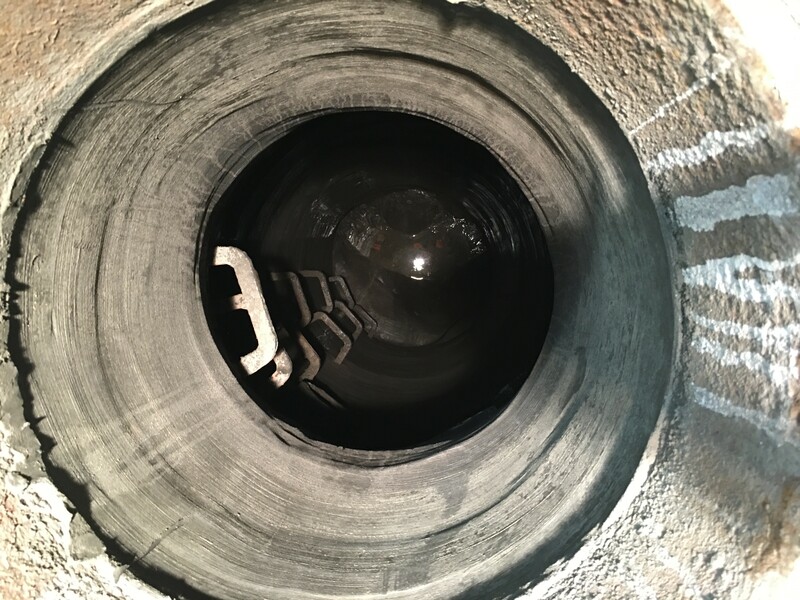 The precast manholes had lost their surface integrity due to fluctuating sulfide gas levels. 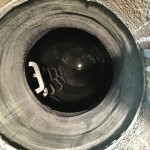 The brick manholes had begun to corrode around the mortar which would have eventually causes the structure to collapse. Four 4-foot diameter manholes, two were precast and two were the original brick. 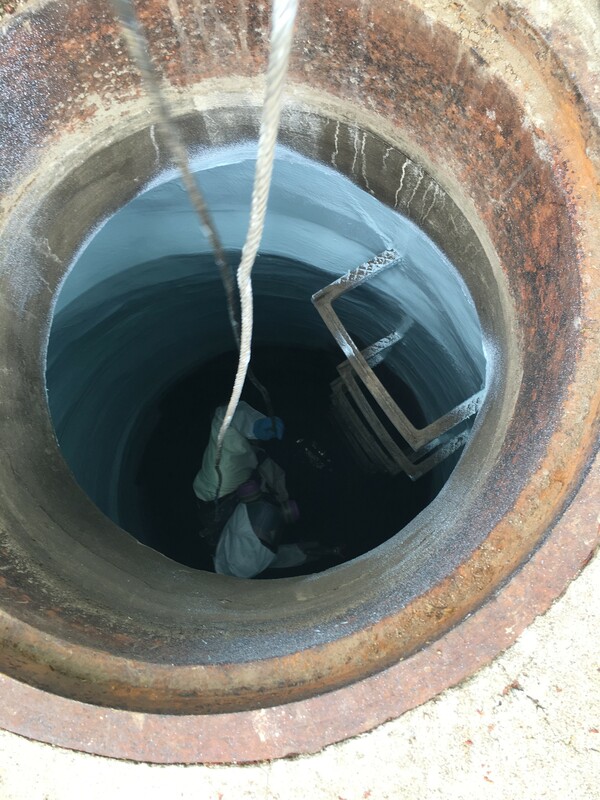 The depth of the manholes ranged from 14’ to 18’. These manholes are dual purpose used for sewer and storm. 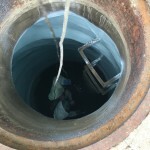 The rehabilitation of these manholes began June 9th and concluded June 14th. A 5000psi water blaster was used to prepare the structures and remove any loose or contaminated substrate. Once the profile was sufficient, Strong Seal Profile cement was applied using a spin casting cement rig. This created a uniform underlayment for the epoxy. Once cured, the surface was blasted once more to remove any surface laitance. 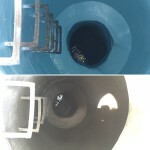 The spray application began once all pipe protrusions pugged. Raven 405 was chosen because of its great reputation for corrosion protection. The 405 was sprayed at 125 mils; this ensured optimum performance. Once the topcoat was cured, a post inspection was conducted to ensure a consistent monolithic coating. 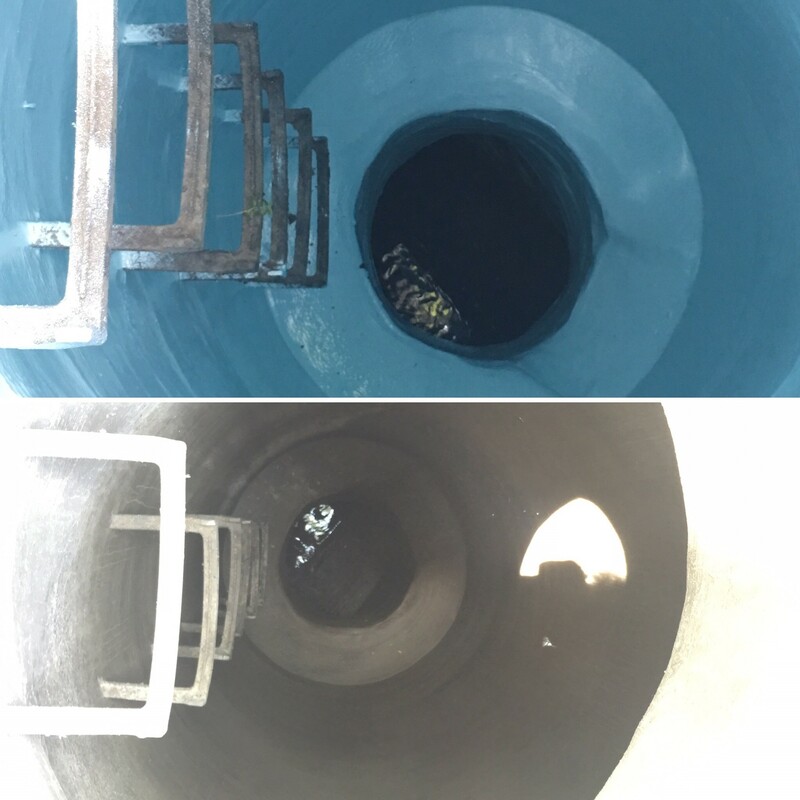 The city supervisor and applicators were very pleased with the results and anticipate a long service life for these structures.